The handle is decorated with alternating star-topped Christmas trees and gifts wrapped in green and red paper. 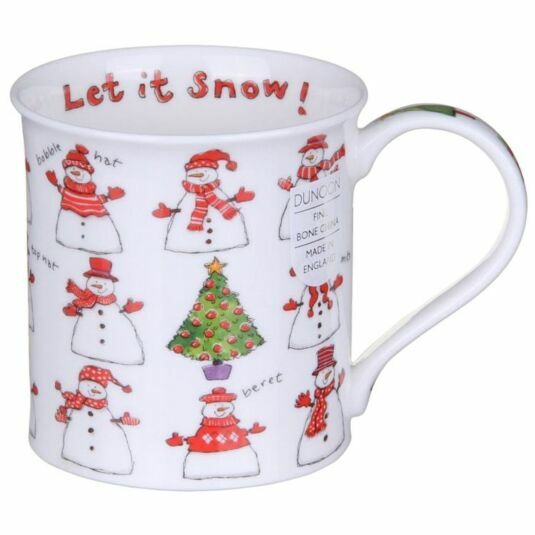 Inside the mug, the hand-written and hand-coloured words, ‘Let it Snow!’ will cheer you as you enjoy a warming festive beverage. If you are left-handed, a row of delightful holly leaves decorated with red berries will be your view as you down your drink. 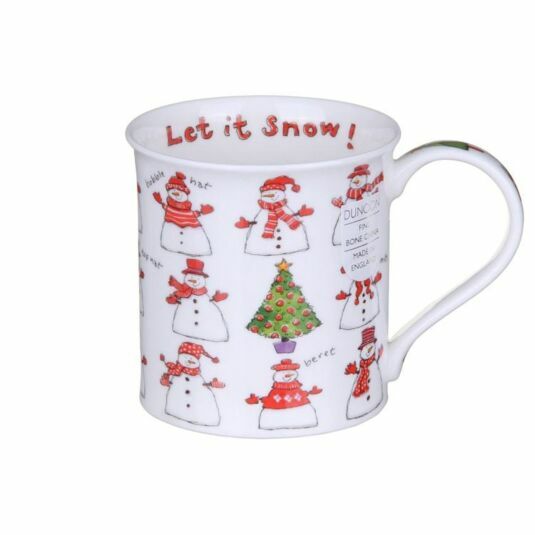 A delightful, individual and cheerful mug, decorated with lovely watercolour designs by Kate Mawdsley, essential for any Christmas collection and the perfect companion to our ‘Merry Christmas’ Bute mug by the same artist.